College freshman Claire Danvers has had enough of her nightmarish dorm situation. When Claire heads off-campus, the imposing old house where she finds a room may not be much better. Her new roommates don't show many signs of life, but they'll have Claire's back when the town's deepest secrets come crawling out, hungry for fresh blood. Goodreads. 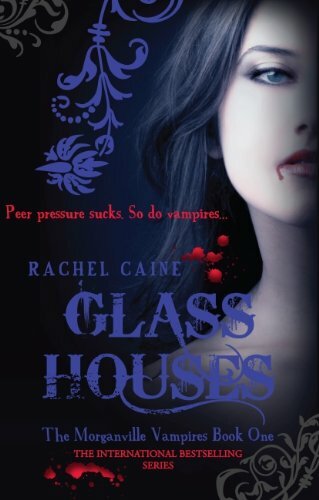 It was only a matter of time before Bit-Lit showed its fangs... Glass Houses is the first title in the very successful The Morganville Vampires series which has graced both New York Times and USA Today Bestselling lists. More than six hundred thousand copies of the series have been sold worldwide. "This book has been my comfort read ever since I first picked it up as a young teen; it's a book that acknowledges the darkness, but still lets hope, light, and love prevail in the end. Best treatment of death I've ever read in a novel. Also, L'Engle's writing is beautiful." Natalie Schmidt, reader. Vicky Austin is filled with strong feelings as she stands near Commander Rodney's grave while her grandfather, who himself is dying of cancer, recites the funeral service. Watching his condition deteriorate as the summer passes on beautiful Seven Bay Island is almost more than Vicky can bear. To complicate things, she finds herself the center of attention for three very different boys: Leo is an old friend wanting comfort and longing for romance; Zachary, whose attempted suicide inadvertently caused the Commander's death, is attractive and sophisticated but desperately troubled; and Adam, her older brother's friend, offers her a wonderful chance to assist in his experiments with dolphins but treats her as a young girl just when she's ready to feel most grown-up. A Newbery medallist in 1963 for the wonderful A Wrinkle in Time, L’Engle was inspired by the 17th century poet Henry Vaughn for the title of A Ring of Endless Light. 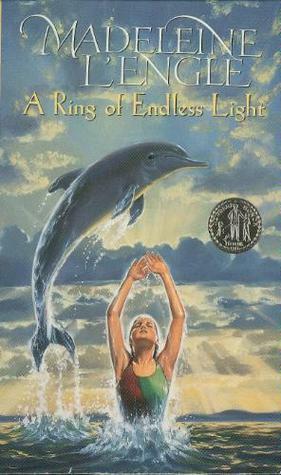 The L’Engle was named as a Newbery Honor Book by the ALA in 1981. The fourth title in the Meet the Austins series it continues to follow the adventures of Vicky Austin and her family. Henry Vaughn’s poem, The World. The Curious Incident of the Dog in the Night-Time, published in 2003, become hugely successful enjoying an imprint for children and adults. Winning the 2003 Whitbread Book of the Year and a whole host of other prestigious awards, Haddon's novel recounts the adventures of an autistic protagonist. This book also has the honour of including mathematics and logic puzzles within the text. To hear a reading of the book click here. John Green’s second novel was highly awarded as a 2007 Michael L. Printz Honor book, a Los Angeles Times Book Prize, an ALA Best Book for YA, a Kirkus Reviews Best Book of the Year along with many more. An Abundance of Katherines also has the honour of being the first (just) title on this list to hit us with some mathematics mid narrative. An ocean voyage of unimaginable consequences . . . Announced as a Newbery Honor Book in 1991, the ALA described the books as being “a spunky young lady goes from polite idealist impressed by good manners and gallantry to a realistic young woman who comes to terms with the complexity of the 19th-century society in which she lives”. It has been announced that a film adaptation is in the works with Saoirse Ronan (Atonement, The Lovely Bones) attached to star as Charlotte but the project is currently on hold. The only one of these I've read is Glass Houses, and it's a great series. Strong/smart/funny characters and excellent world-building. A real stand-out in YA bit-lit at the moment. Am loving these posts Adele! Even though I'e only heard of a couple of titles so far. 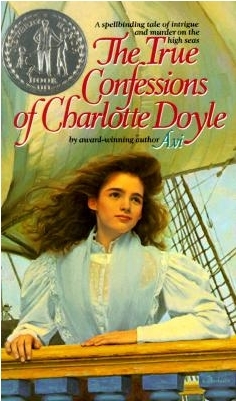 I'm glad to see A Ring of Endless Light and The True Confessions of Charlotte Doyle because I loved both when I read them as a child. I haven't had a chance to re-read them though. 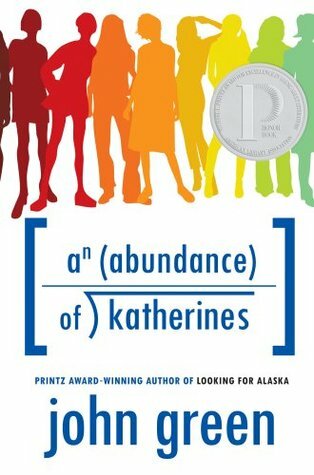 Oh and I'm planning to read An Abundance of Katherines if I can find a copy. Thanks for doing this Adele. The Curious Incident= SUPERB. I need to read some John Green. I just wanted to say I am loving this. LOVING IT. Hurray! Finally, 2 books I have read, Ring of Endless Light and Charlotte Doyle. However, I didn't vote fo them. Loving the countdown, Adele.